modern and plush living at affordable price in heart of Chennai. Located at the heart of Chennai, Sky Residency offers you a fine stay experience with their elegant interiors which are charming and pleasing. 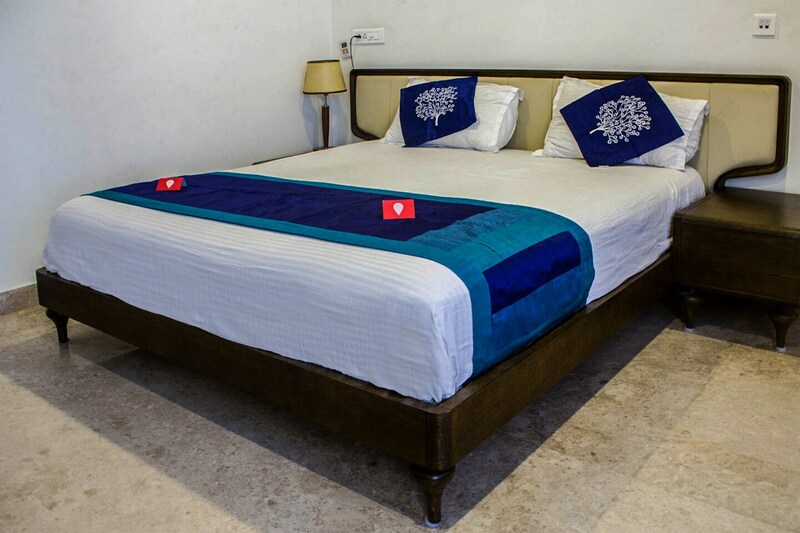 The well-furnished rooms and elegant interiors are delightful, warm and welcoming. The large windows let in the sunlight, making the room bright and appealing for the guests. Other amenities in the room include bathtub and hairdryer for the comfort and convenience of the guests. Other facilities at the property include free Wi-Fi, card payment, and parking facility. The seating area is posh and elegant for guests convenience which opens up to the friendly neighborhood. Key attractions near the hotel are Sri Swaminatha Swamy Temple, Krishnar Temple, and Arignar Anna Zoological Park.